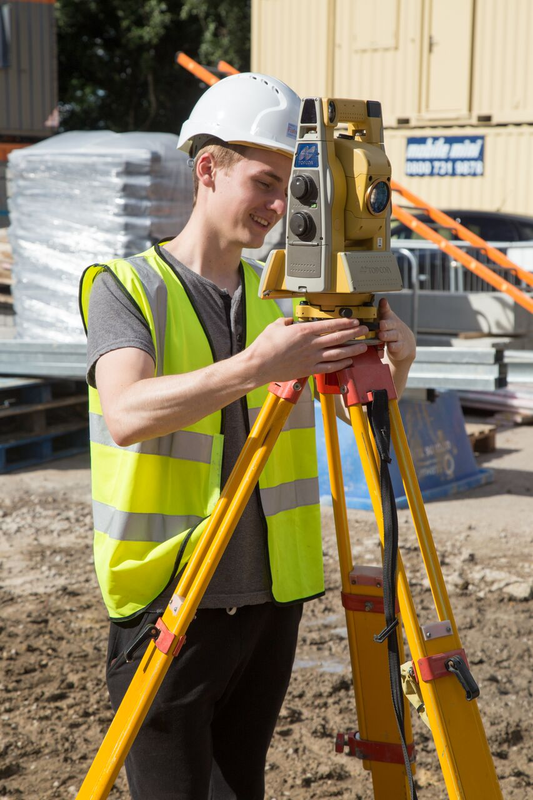 Harrogate resident and civil engineering university student Richard Haldane joined our Yorkshire team over the summer on a work experience placement at our civic accommodation project for Harrogate Borough Council. We asked him to tell us about his experience and how it will support his future career in the construction industry. What did you learn during your time on-site? I learned many things during my placement, including a general view of how the site is run in an effective and safe way. Understanding what each job role involves and many engineering aspects relating to surveying, materials and construction practice. Do you think the placement has helped with your civil engineering studies? Yes, definitely. Not only has it reinforced knowledge that I had gained previously, but has also enhanced my knowledge in subjects such as engineering surveying, engineering materials and construction practice and the environment. What was it like to shadow our Engineer Glen and what did you learn from him? It was an invaluable experience, being able to learn from someone with an incredible understanding and adept ability in their field. Shadowing Glen taught me many things including a clear understanding of what the site engineer’s role involves, as well as numerous tips and tricks for efficiently working on site. What was it like to work on such a prominent project based in your home town? I was very lucky to have been giving the opportunity to gain experience on site, but to have this opportunity to work on a project that is so significant to my home town, accompanied with the building’s unique design was quite amazing and very fulfilling. What advice would you give to other students looking to get experience within the construction sector? From my personal experience I would have to say, don’t be afraid to turn up on the doorstep of the site displaying your intentions, while showing interest in that specific project and what you are looking for as a result of the work, and remember to bring a CV!